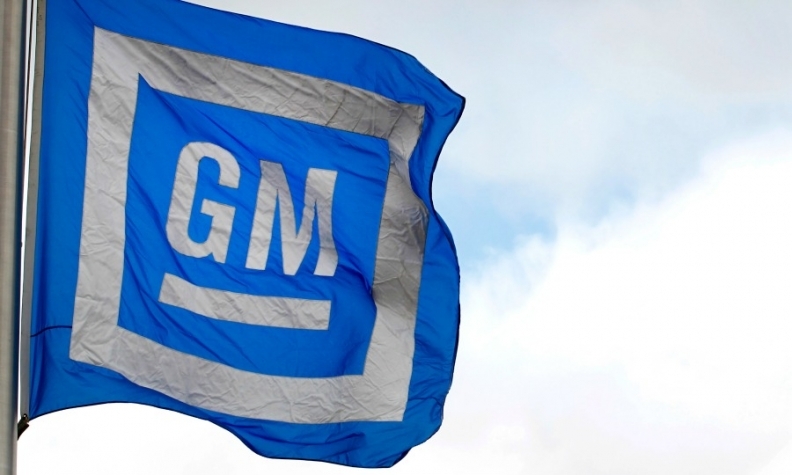 DETROIT -- General Motors said on Tuesday that fourth-quarter net income fell in part due to $500 million in foreign exchange losses, caused mainly by the decline of the British pound after the UK's vote to leave the European Union. GM's European business, which prior to the so-called Brexit vote appeared on track to break even after decades of declines, lost $257 million last year, which was an improvement on a $813 million loss in 2015. GM said that without the $300 million financial hit it took from Brexit its European arm would have achieved breakeven for the year. GM Chief Financial Officer Chuck Stevens expects the automaker's performance in Europe this year to be about even with its 2016 loss. He said GM is hopeful its European business could finally break even in 2018. "We're going to do everything we can to drive it in that direction," Stevens said. GM said its overall profit margins and revenue climbed to a post-bankruptcy record in 2016, though an accounting change caused net income for the year to decline 2.7 percent. In the fourth quarter, adjusted earnings, before interest and taxes, declined 14 percent to $2.4 billion, and global margins fell to 5.4 percent from 7 percent in 2015. GM generated a 2016 record $12 billion profit in North America, 9.3 percent more than a year ago. The gain, even as its U.S. market share slipped, is validation of GM's strategy to focus on retail sales while cutting less-lucrative deliveries to rental-car companies. But rising inventories and lower margins in the fourth quarter show the increasing challenges it faces in 2017. The automaker shrank its annual losses in South America by 40 percent, while earnings from other international operations fell 19 percent to $1.1 billion. "By almost any measure, 2016 was a great year for our business and I am confident we can achieve even stronger results," GM CEO Mary Barra said in a statement. "We'll work to build on our momentum, while continuing to drive our company to innovate and shape the future of mobility." In the fourth quarter, GM's net income fell 71 percent from the same period a year ago, when the company recorded a $4 billion accounting gain related to its ongoing losses in Europe. In North America, fourth-quarter profits fell 5.5 percent, and operating margins were 8.4 percent, down from 10 percent in the same period of 2015. Fourth-quarter global revenue rose 11 percent to $43.9 billion. It was driven largely by higher volumes, with contributions from higher prices and an expansion of GM Financial. In North America, revenue increased 13 percent to $31.3 billion, the highest of any quarter in 2016. Revenue fell 6 percent in Europe and climbed 16 percent in South America. For the full year, GM posted global net income of $9.4 billion, down from $9.7 billion in 2015. Adjusted earnings, before interest and taxes, rose 16 percent to $12.5 billion, as revenue rose 9.2 percent to $166.4 billion. Automotive-adjusted free cash flow more than tripled to $6.9 billion. Its North American profit means GM’s 52,000 hourly workers will receive profit sharing checks of up to $12,000, which is $1,000 more than last year and $3,000 more than Ford workers are getting. GM CFO Chuck Stevens said 2017 would be "another strong year," with earnings flat or up slightly from 2016. He said North American margins would top 10 percent for a third consecutive year as the company rolls out redesigned versions of several high-volume vehicles, including the Chevrolet Equinox and Traverse. He said recent and upcoming production cuts at several plants would thin U.S. inventories and that the company would be "very, very disciplined on aligning supply and demand" without elaborating on the potential for more cuts. "We have an extremely strong product launch cadence," Stevens told reporters at GM's headquarters. "We'll be going from the oldest crossover lineup in the industry to the youngest."